This is a question I get asked a lot by design students - should I learn to code? The answer is yes. Why wouldn't you? But there's nuance: you don't need to be a Ruby dev. Learning to code is a much bigger discussion than this, but you should at least understand enough HTML to make a change to a webpage. If I bump into a student carrying a portfolio of chalk drawings and they ask, should I learn to code, I'll reply yes. If nothing else they will be able put those chalk drawings on the internet. Obviously you should understand the Internet as it is the material you are working with. You should know about things like Moore's law and you should know the difference between the world wide web and the Internet. Related, our design process at GDS. 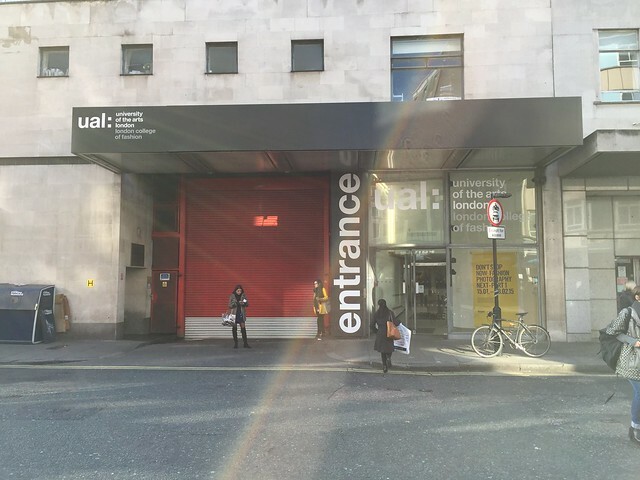 A blog post needs a picture and the one above is of the London College of Fashion where some students are learning to code. LCF is part of University of the Arts London where I am a Governor. Great post. I'm an architect by education, but it so happened, that I work with developers and with code everyday. I would like to observe that there is quite a similarity between the satisfaction one gets from making a drawing, a design, a project and between creating a full working webpage on your own. And to all fellow arty types, I'd love to recommend this post on which online web development course to choose:http://www.shorelabs.com/blog/2015/06/11/the-best-of-free-online-web-development-courses/. It's really easy to get started and sometimes too hard to stop, once you get sucked in 😉 Good luck, guys!